Paradise Beverages has launched a new signature cocktail, the ‘VJ Sling’, for the 2018 Fiji International Golf Tournament, which tees off on July 31 at the InterContinental Fiji Golf Resort in Natadola. Created to celebrate Fiji’s biggest golf hero and tournament fan favourite, VJ Singh, the ‘VJ Sling’ blends Rum Co of Fiji’s award-winning eight-year-old Ratu Signature Rum Liqueur and Bati Spiced Rum, with the zing of ginger and fresh lime perfectly complementing the complexity of charred oak and rich vanilla and coconut flavours from the local rums. General manager of marketing and new product development Rowena Taito said as the region’s leading beverages company, Paradise Beverages has been sponsoring golf in Fiji for over 20 years. “The Fiji International is a great platform to showcase our fantastic brands to the world. InterContinental Fiji Golf Resort & Spa director of dining and entertainment Craig Wood said: “It’s exciting that we get to showcase this cocktail with Rum Co of Fiji. The ‘VJ Sling’, along with the full range of Rum Co of Fiji rums and liqueurs, will be served throughout tournament week at the Fiji International. A leading local manufacturer and among the Pacific region’s largest local employers, Paradise Beverages aims to be recognised as the premier place to work, creating world-class beverages and making a positive contribution to the business and the markets in which it operates. The organisation employs around 550 staff across Fiji and Samoa across four sites, including the Vailima Brewery in Apia (Samoa), Fiji Bitter Brewery in Suva (Fiji) and Rum Co of Fiji Distillery (Lautoka, Fiji). 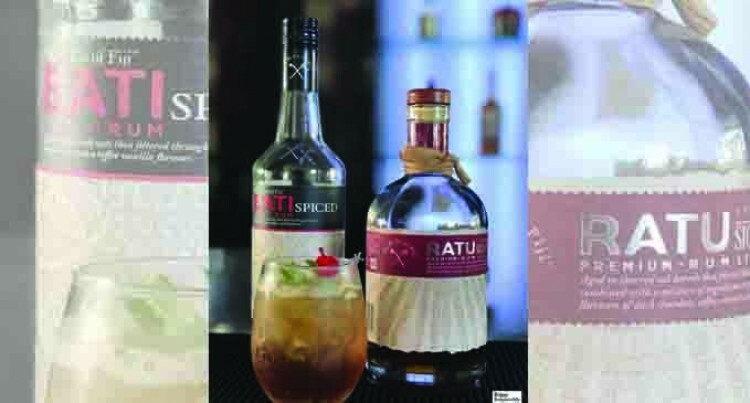 Its range includes local favourites Fiji Bitter, Fiji Gold (Fiji’s number one selling beer), Vonu Pure Lager and Fiji Premium, Fiji’s much-loved Bounty Rum and the multi-award winning Ratu and Bati rum ranges, all from Rum Co of Fiji. Paradise Beverages was purchased by Coca-Cola Amatil in 2012 and has since undergone a FJ$ 44 million capital investment and capability programme to modernise its facilities and underline its position as a significant long-term contributor to the loGal community and economy.